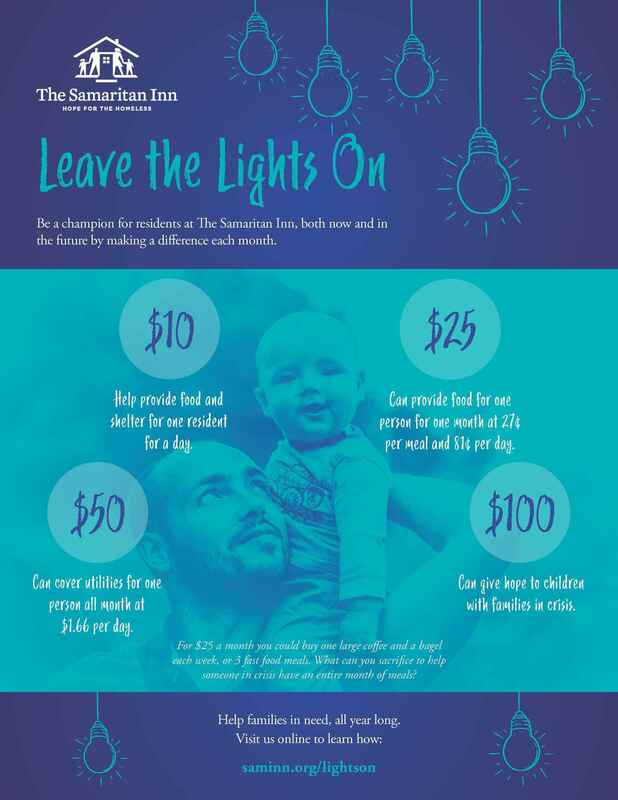 Be a champion for residents at The Samaritan Inn, both now and in the future by making a difference each month. Help families, all year long. $10/ month can provide food and shelter for 1 resident for a day. $25/month can provide food for 1 person for 1 month at $0.27 per meal and $0.81 per day. $50/month can cover utilities for one person all month at $1.66 per day. $100/month can give hope to children and families in crisis.